Beginner Minimalist? Start here and experiment with this roadmap. Beginner Minimalist? This is a good place to start. If you are a beginner minimalist or curious about simplifying your life, this is a good place to start. I’m not a beginner minimalist but I used to be. Over the last few years, I made some big changes with my family. We sold and donated close to 90% of our stuff, paid off all of our debt and downsized from a big house to an apartment less than half the size. I made some changes personally too. I changed my diet and began to prioritize my health and my heart. That included creating a morning routine, moving more throughout the day, working less and sleeping more. I also left a long career in sales and marketing and created my own business. I’m still learning, changing, and growing but a few of the lessons I picked up as a beginner minimalist may help if you are just getting started. My goal wasn’t to become a minimalist, but instead to eliminate as much stress as possible from my life after a scary diagnosis of multiple sclerosis. I didn’t even know I was simplifying my life at first but I began to notice that simplicity was at the heart of every change I made. Even though I didn’t have a clear plan, many of the things I did are the first steps I now recommend to beginner minimalists or to anyone who wants to reduce stress and enjoy a happier, healthier life. 1. Identify Your Why. Figure out why you want to simplify. My why was health. Your’s may be different. Maybe you want to pursue your dream job, travel the world, or have a few minutes to yourself every day. Jot down a few of the things you want out of life and why you think minimalism will help you get there. Once you understand and connect with the whys, the hows, whats and wheres will come much more easily. 3. Encourage others. You can’t expect or force others to become minimalist with you, but you can encourage them. Start by focusing on your own stuff and demonstrating the benefits of living with less. If you want people to see the joy in less, live joyfully with less. If your friends or family are curious, invite them to participate in a minimalist scavenger hunt. 4. Start small. I mean really small, tiny even. If you want this to be a lifestyle change and not just another attempt at getting organized, consider a slow and steady approach. After all, if organizing worked, you’d be organized by now. Try these 10 Tiny Steps. Protect 10 tiny minutes every morning. Keep the TV out of your bedroom. Donate clothes that don’t fit your body or your lifestyle. Keep a journal to document your progress. Give a handful of books to your local library. Keep a box by the door for odds and ends that don’t matter to you. Give up one thing you think you can’t live without for 30 days. 5. Plan to be uncomfortable. There may come a time when empty shelves and sparse calendars make you uncomfortable. To ease the pain, you might want to buy more, and schedule more. Instead, think about how you really want to spend your time. Know what matters to you. Trade shopping for self-care, and remind yourself that the discomfort will pass. 6. Experiment. Be curious and have fun challenging yourself to live with less. Minimalist fashion challenge Project 333: dress with 33 items or less for 3 months. The Mins Game: Give away 1 thing on day 1, 2 on day 2, 3 on day 3 and so on. 7. Give it a rest. Before simplifying further, think about what you really want out of this life of yours. Is this the time to declutter more or is this the time to deepen a connection with someone you love? Is this the time to move on to your bookshelves, or is this the time to create something new, or serve in your community? If you aren’t sure, check out these 5 signs. Perhaps it is simply time to rest. 8. Watch the sun come up. That’s what my mornings often look like. I don’t remember what they used to look like before I simplified my life because they were a blur. 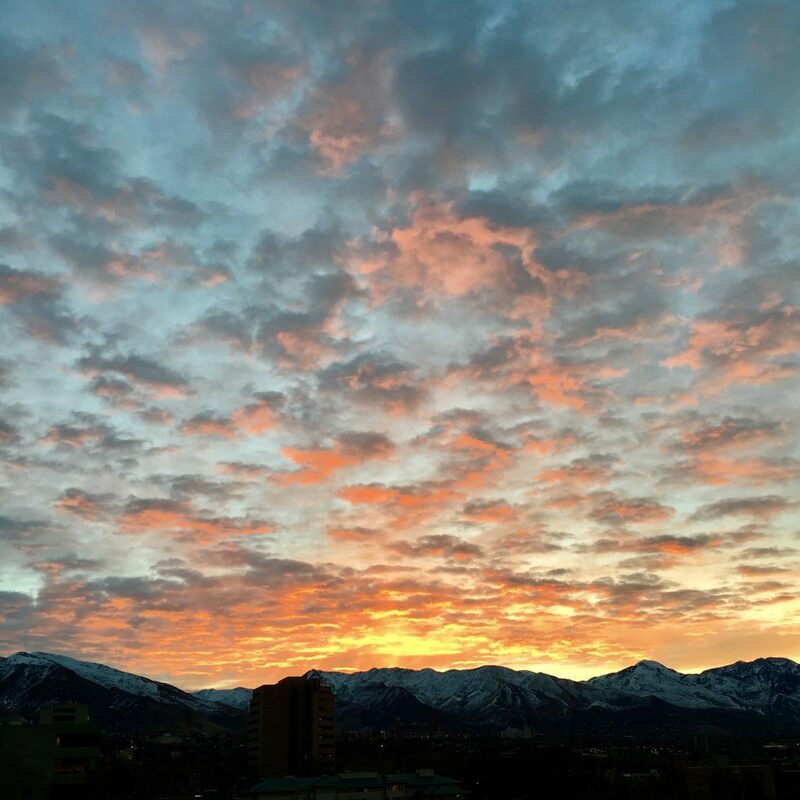 One of the best things minimalism gave me is 15 minutes mid-week to watch the sun rise over the mountains. If sunrises aren’t your awe-inspiring thing, figure out what is and take the time to marvel at something. We don’t remove clutter, reduce stress, and reject busyness to have a simple life. We do it to have a life. Don’t wait until your debt is paid off, or every room in your home is decluttered to start living. Minimalism invites you to be intentional about how you invest your time and energy, and how you want to fill your heart. Start now. 10. Do what’s best for you. Don’t worry about following the advice of every popular minimalist or decluttering expert. You don’t have to wear the same shirts Mark Zuckerburg wears, or create the perfect capsule wardrobe collection. You don’t have to live in a tiny house or carry all your belongings in a backpack. Don’t worry about how many items you own or don’t own. Don’t compare your journey to another. You can watch your favorite movies and buy what you need and love. You can call yourself a minimalist or not. This is your journey, your minimalism, your life. These steps worked for me, but I don’t know what’s best for you. Only you know that. I kept hearing about this minimalist documentary and I just now watched it right after reading your post. It was great. I mean, I’m not on the same level as most of the people, including you (awesome btw). I started my journey little by little after finding your blog. I actually now think about things I purchase. I still have more to go. We just bought a house and I’m actually excited to go through the stuff that has been stagnate in the corners of our apartment not being used and just get rid of it. I’m not going to get rid of my books or my dvd collection, but I’m actually thinking (after watching the movie) that I could get rid of some of the dvds I have. I bought alot of dvds that I didn’t watch or didn’t like once I did watch them. I know we are filling a bigger space, but we are mostly filling it with stuff that was preowned. I think the only thing we are buying is a tv stand and possibly a bigger dinner table (use the table that we do have until we can purchase it). So, this movie opened my eyes up to more things that I can do. Thank you! I really appreciate your blog, especially as you only give suggestions and I might add some very good ones on how to make our lives simpler and more enjoyable. Just Project 333, my version, has made a huge difference to me. It is taking me quite awhile to make all the choices when downsizing my ‘stuff’ but I’m getting there and as a box leaves I feel better and grateful for having been in a position of plenty. I’m sure my children are grateful that they won’t have to make these decisions when I’m gone. Thank you for being a great mentor. Life changing. I agree that surrounding yourself with like-minded people really helps. It somehow affirms that what you are doing is worth doing whether or not some people in your life agrees with you. I love how you presented each step with such love and peace. I especially love the step about mornings. I always make it a point to take it slow and just enjoy the more important things in life – joy, love, gentleness – things that cannot be seen by the naked eye. Hello! I plan to spend some time reading your archives. I clicked on your 10 tiny steps for starting small, and I am interested in the Project 333. I really want to purge my clothes! I also like the ideas of eating similar meals each day. I struggle with lunches each day for my children and myself most days. I homeschool, and lunchtime arrives before I am ready! If we don’t have leftovers, I am stuck. I need to make a plan of simple lunches for the days we don’t have leftovers. I love your suggestion to “take time to marvel at something.” That really speaks to my need to simplify my attention, and still my mind. With life moving so quickly, finding something to marvel at slows life down. It’s so easy to become fixated on the “stuff,” but minimalism is more than that. Thanks for the great article! I love your page and was excited to follow. I am just getting into this lifestyle too and can really relate to your writing. You made amazing progress and it is so inspiring. And that sunset picture- breathtaking! You seem to have a lot of helpful info and I will definitely be putting it to use. Great list! You were one of my online mentors when I plunged head first into minimalism! And, you still are 🙂 Thank you for taking the time to encourage me without even knowing me! I’m not a beginner either, but it’s so good to have these reminders. In fact, just today, I cleared out a small basket of papers that’s been waiting for years. Yay! The #minsgame (6. experiment) was a game changer for me. Before I knew of the term “minimalism,” I was practicing it on a certain level immediately following the death of my dad in 2009. With that said, the 30-day minimalism game from The Minimalists really gave me an unexpected momentum that had me rapidly de-owning hundreds (at first, then thousands) of items, and I feel as though I went from being a partial minimalist still finding his way to a full-blown minimalist. As a sufferer of severe anxiety, minimalism has been hugely beneficial. I’m still working on some of the physical clutter, but my main focus now is minimalism of the mind; or, de-cluttering my brain. However, you want to think of it. Watching the sun come up is a good one too. Walking = minimalism, step by step. I am excited that I have found your blog! I am a 40-year-old stay-at-home mom and part-time college student. My family and I have been embracing minimalism slowly over the last few years, without really realizing it, but we still have way to much stuff! 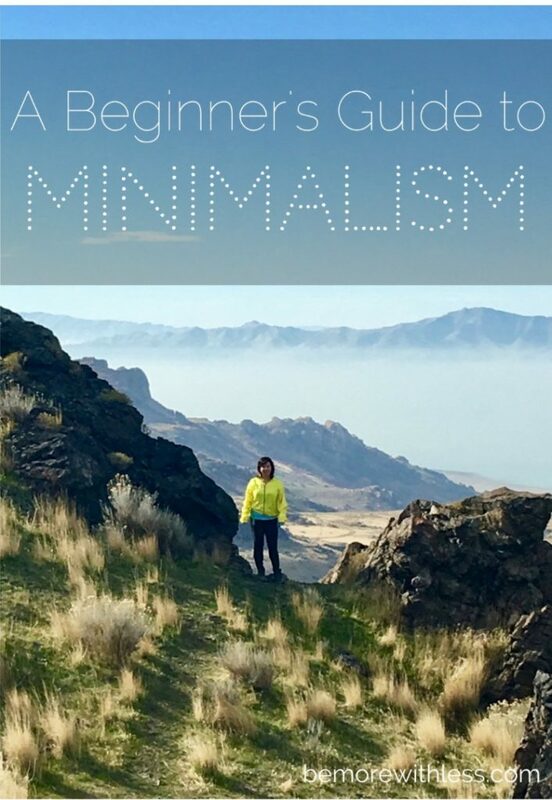 I am excited to be taking a blogging class this semester, and I am even more excited to learn and discuss how different people are reaching their own minimalist goals. My children asked for bath toys the other day and I had them “shop” the toys in their rooms to find “new” bath toys. They had fun and were so excited to pick out their own toys. Your suggestions for getting family and friends involved and on board are very helpful. I am going to try the Scavenger Hunt for Aspiring Minimalists and The Mins Game with them soon. Thanks for another amazing and inspiring article, Courtney. It is so important to remember that we’re all on this journey together but at different stages. I especially loved number 10 as I often find myself comparing my progress and journey to others. I have been embracing minimalism slowly over the last few years, without really realizing it, but we still have way to much stuff! The weather was great this weekend. I finally was able to declutter my shed and garage. The car actually fits now. I love reading your blog – It really keeps me motivated. Minimalist is something new for me I discovered on this blog. Recently I launched home decluttering intending to make housekeeping easier. Now I realize it may give more than just ease in cleaning. Thank you for inspiration, Courtney.